My Reply: Yes and no. 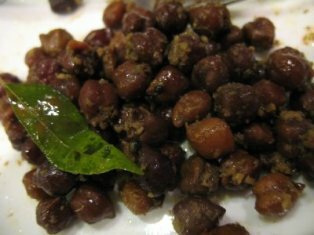 The large common everyday chickpea (kabli chana) is a cousin of a smaller ‘chickpea’ with the dark brown skin, which is, in fact whole chana dal. When the skin is removed from these small so-called ‘chickpeas’ (the basis of the famous ‘chole‘ dish from Northern India) and they are split, they are known as chana dal. 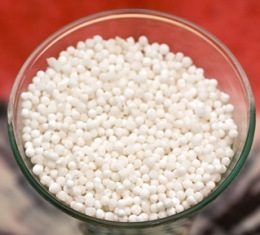 The picture below is of a salad made from whole chana dal.